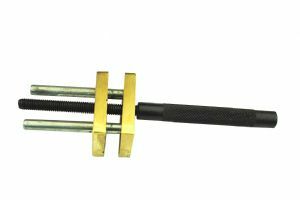 Hand vice with brass parallel jaws. Overall length: 135mm x 35mm wide. Square brass jaws, softer metal will not mark your pieces as easily. Jaw opening to max 45mm capacity.